Shipping rules are composed of a condition and an action. 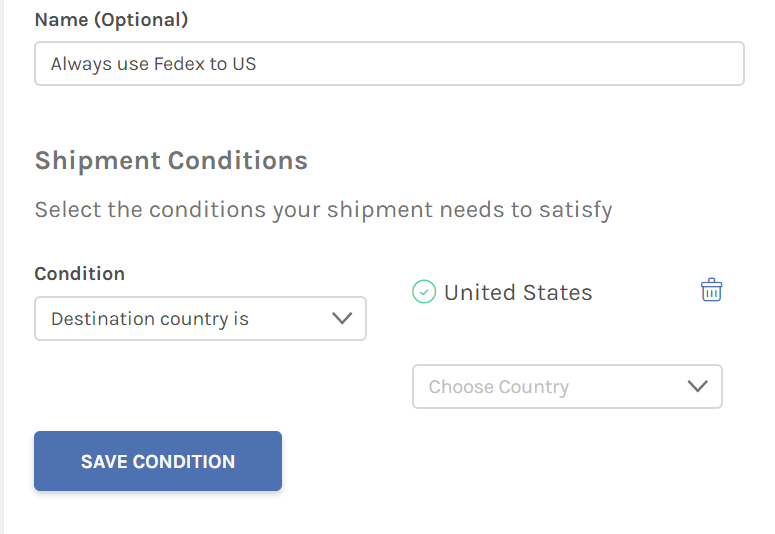 The condition is what your shipment must satisfy in order for the shipping rule to apply to it. The action is what you want Easyship to do. 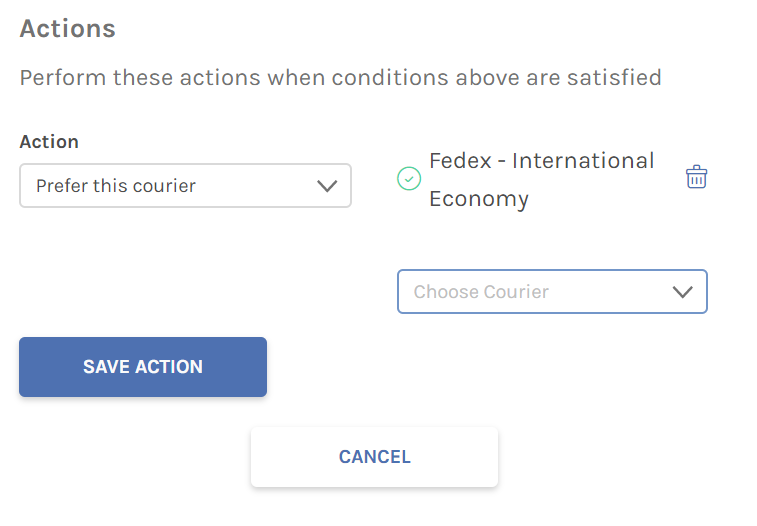 For all shipments to the United States, only use FedEx as the courier.